Daniel was born at the West Cheshire Hospital on 15th November 1980. He was our fourth child, his predecessors having been all girls. For this reason Ruth and I had not bothered to choose a male name. When the midwife asked what we planned to call him, the response was "Rachel." That wouldn't do of course, so for the first 24 hours of his life he was named James after his maternal grandfather. When I visited Ruth and baby the next morning, Ruth had decided she would like to call him Daniel. How could I refuse - she had given me a lovely son. So, Daniel James Brennan he became. His stay in Cheshire was very short; at the time I was working in Dublin, and before Christmas 1980 the whole family moved to Ireland. He would have no memory of his time there, as the family moved back to England in the autumn of 1982, and I joined them in April 1983. We bought a house in Rowlands Gill, near Newcastle upon Tyne, and this is where Daniel grew up. He was a happy and intelligent child, full of curiosity, laced with a certain degree of mischief. I remember well one occasion when I was growing a beautiful patch of sweet corn; before the cobs had ripened Daniel opened every single one to see how they were getting on inside. When later in life we enrolled him for piano lessons, he discovered that the best way of avoiding practice was to stick the piano keys down with bluetack. 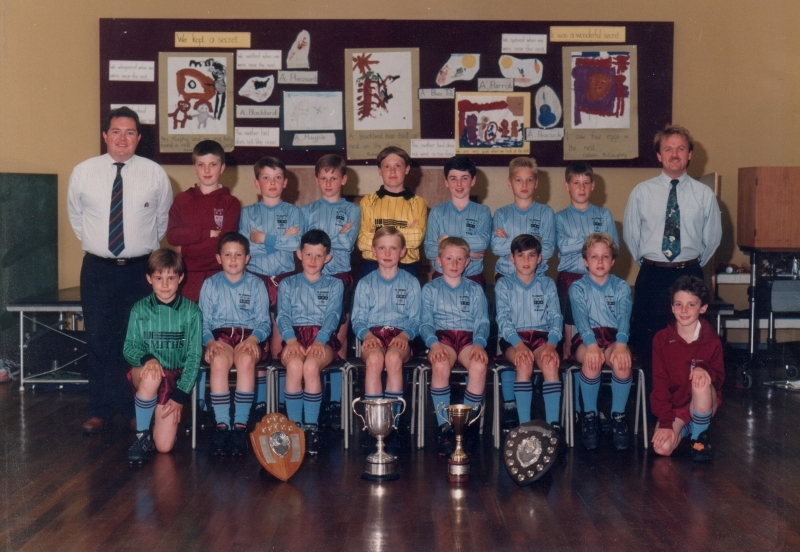 He attended St Joseph's RC Primary School in Blaydon, and it was here that he showed that he could outperform his father in sporting matters, becoming a very useful member of the school football team in season 1991-92. The school had a strong team that year - on several occasions they put 7 goals past their opponents, and they also collected an impressive set of trophies, as shown below. On leaving primary school Daniel had only a few yards to travel to attend neighbouring St Thomas More RC Comprehensive. He distinguished himself in his academic subjects, particularly Mathematics, and also continued his school footballing career with the cohort of players who had accompanied him to the new school. As he matured, his disputative personality began to emerge to the fore, but he was never belligerent - just independent, verbally combative and well aware of his rights. His reliability, a characteristic which would distinguish him during the rest of his life, emerged at this time. As a newspaper boy for the local newsagents he never missed a round, riding his BMX bike in all weathers through the cold north-east winter. Mountain biking was the one sport in which I was able to keep up with him, and we rode many sportives together, including several Great North Rides and British Heart Foundation rides. 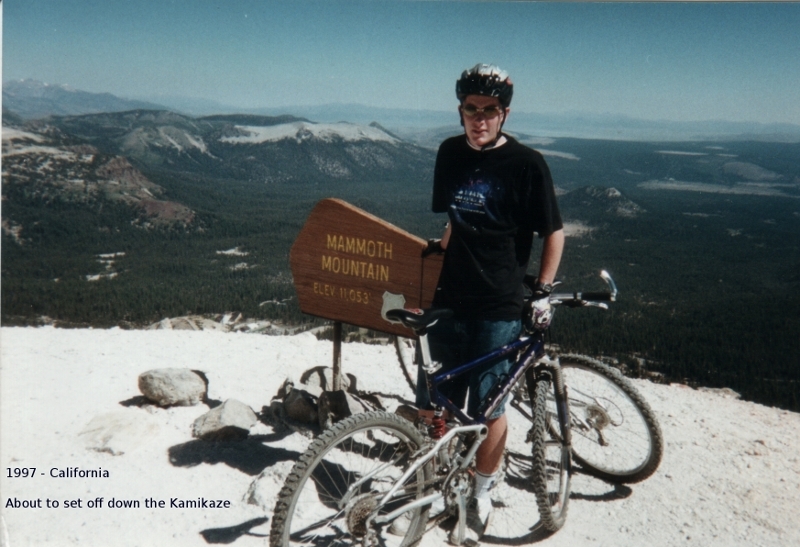 Perhaps our most memorable outing was when we holidayed at Mammoth Mountain in California, and got to ride the famous Kamikaze Trail - 2000 feet of descent over 3.2 miles. In 1999 the time came for Daniel to consider a university education, and his independent streak showed itself once more. His school had a tradition of sending its brightest pupils to Oxford, and it was expected that Daniel would follow this well-worn path. He was having none of it however. His heart was set on Cambridge, and despite the school having no links with any of the colleges there he succeeded in being accepted by Pembroke to study Economics. In his first term however he suffered a setback. While playing football for one of the college teams, his leg was badly broken in a tackle. He was treated at Addenbrooke's Hospital where his leg had a titanium rod inserted and was set in plaster. Within hours compartment syndrome had set in, necessitating further surgery, and he was obliged to remain in hospital for nearly two weeks with open incisions in his shins to reduce intrafascial pressure. Upon discharge, he was confined to a wheelchair for a few weeks. His college was very good to him, moving him to a more accessible room, and so were his fellow students, but he lost a lot of weight and was very down in the dumps for some time. He also fell behind in his studies. Nevertheless, he made a full recovery, and during the rest of his time at Pembroke he kept in touch with the college football society, in particular through coaching the female teams. 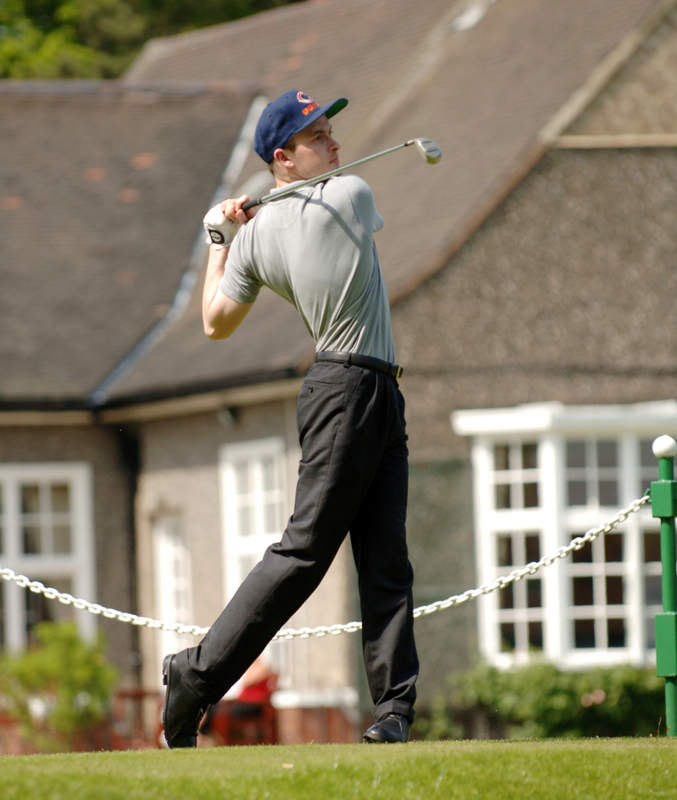 Football was no longer a suitable participant sport for him however, and he began to further develop his interest in golf. He became an active member of the golf society, not only playing in but also helping to organise several major events. From this point golf became an absolute passion, and he continued to play until physical disability prevented him. Daniel graduated in 2002 and was initially uncertain as to his future career. He studied for an MA in International Political Economy at the University of Newcastle upon Tyne, and then considered a career in Law. Eventually he decided to train as an accountant, and joined Deloitte at their Newcastle upon Tyne office. His work took him on auditing assignments to a variety of places, some more exotic than others. His favourite client was in Panama City, Florida, where he was able to enjoy some of the magnificent golf courses in that part of the world. At the age of 24 he had suffered an apparent epileptic fit, but on further investigation was found to be suffering from a brain tumour. Such devastating news might have caused him to despair, but in a remarkable display of courage and maturity he determined to live as normal a life as possible in the time remaining to him. His career progressed steadily, and in 2009 he gained a position with Price Waterhouse Cooper in Vancouver, BC. He was assigned to the mining and forestry division, and travelled all over North America visiting places that tourists rarely see. His spare time he devoted to golf, and he also volunteered for charity work, in particular assisting as a marshal at numerous sponsored runs. 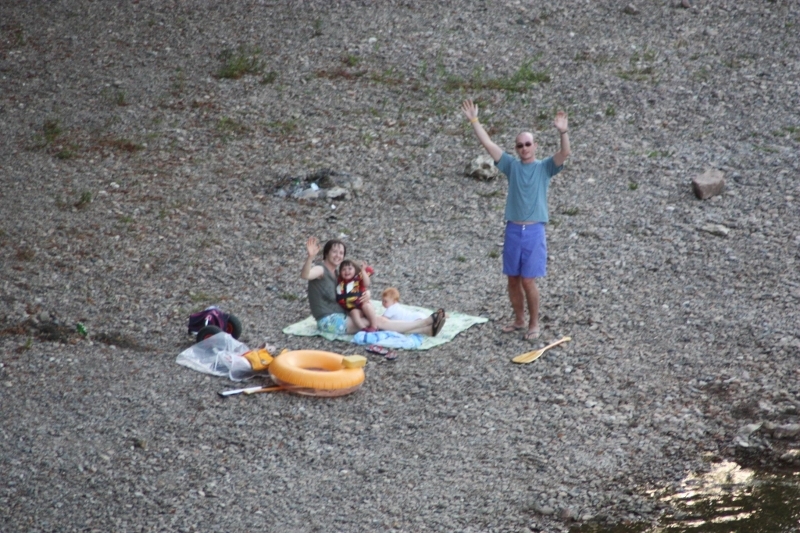 Daniel was very proud of his younger brother Stephen, and loved his company on the occasions that Stephen visited him in Vancouver, organising several adventurous outings including whitewater rafting. 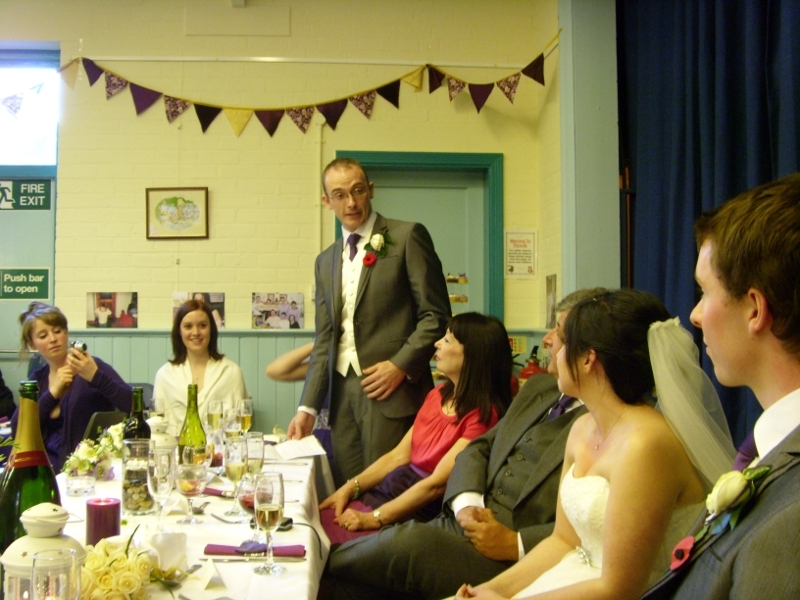 In November 2010 he acted as best man at Stephen's wedding. He organised a superb stag day which included quad bike racing and clay pigeon shooting, and his speech at the wedding was a masterpiece. At the wedding it was apparent to his parents that Daniel's condition was worsening. Early in 2011 he began to suffer mobility problems, and his doctors recommended he return to the UK to live with his parents, which he did in July. He enjoyed the company of his 8 nephews and nieces, and was surrounded by them during his last summer holiday in the Dordogne. His mobility declined rapidly on his return from France, and despite a course of radiotherapy his condition worsened. He accepted his fate bravely, and during his last months, when he was so dependent on others for basic needs, he never once complained. On 23rd April 2012, while taking a shower, he suffered a seizure, from which he did not recover consciousness. He died three days later on 26th April 2012. 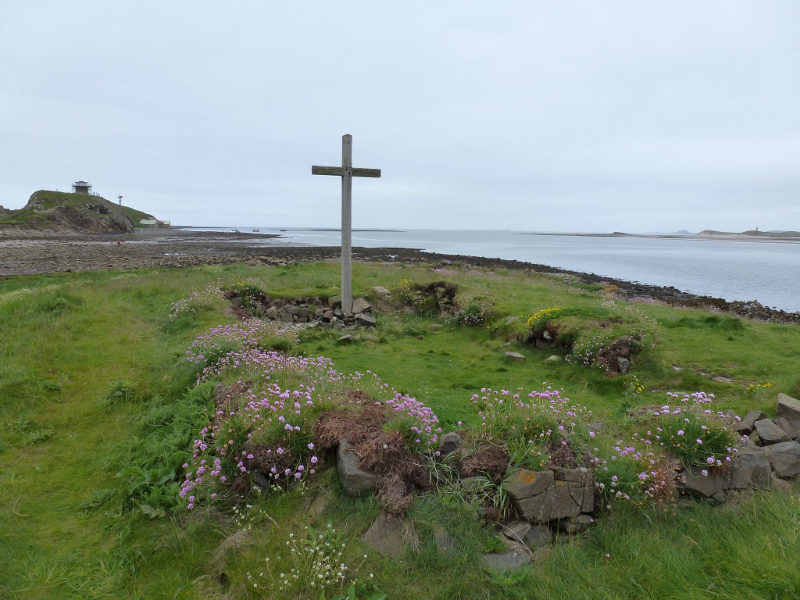 Daniel had specified in his will that his ashes should be scattered on St Cuthbert's Island, a small outcrop just off the southern edge of Lindisfarne, and that afterwards his family should be entertained to a fish supper in the nearby town of Seahouses. On June 10th 2012 his wishes were carried out. Daniel was a modest man, quietly proud of his achievements, and his parents and extended family are so proud of him.